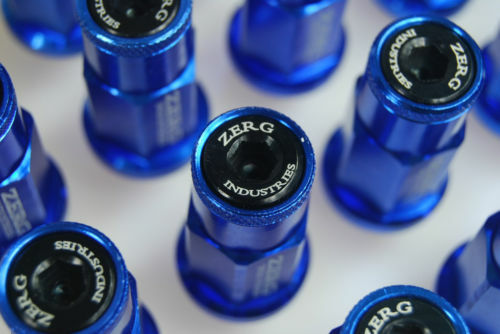 ZERG Industries anodized lug nuts. Sold in a packs of 20pcs. 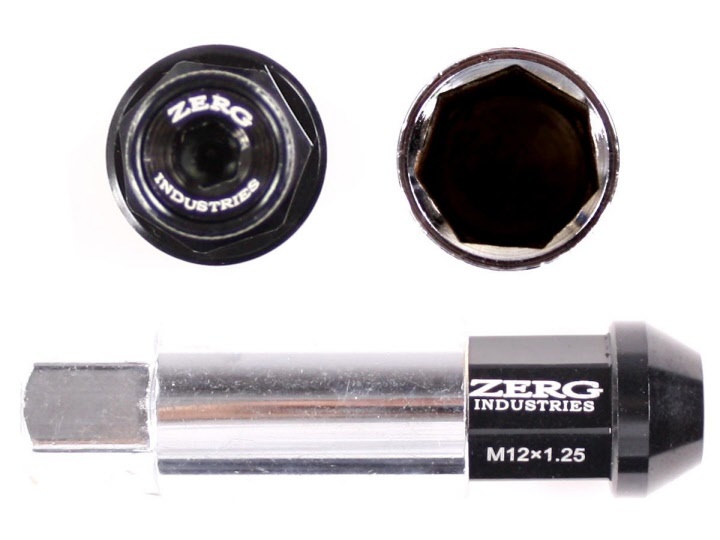 Zerg Industries Extended forged 7075 aluminum lug nuts. Includes a set of 20 lug nuts. Each lug nut is carefully inspected, perfect for performance and show enthusiasts. Protect your expensive rims with our special heptagon (7 sided) shaped lug nuts. Available in neochrome with a 12x1.5 thread pitch. 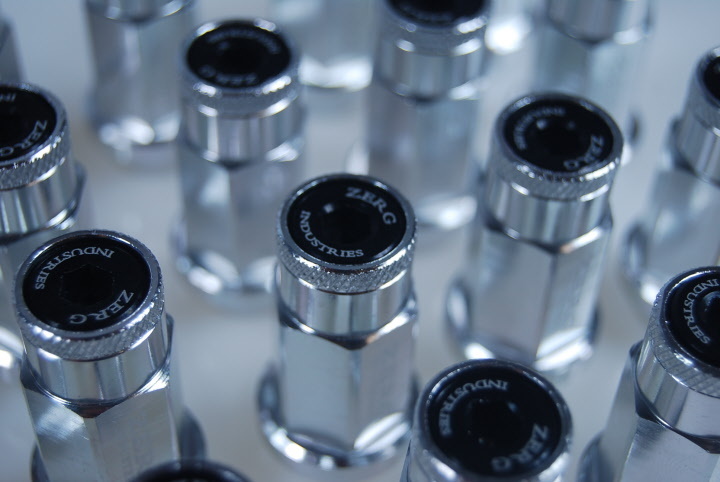 Zerg Industries Extended forged 7075 aluminum lug nuts. Includes a set of 20 lug nuts. Each lug nut is carefully inspected, perfect for performance and show enthusiasts. Protect your expensive rims with our special heptagon (7 sided) shaped lug nuts. Available in your choice of blue, red, gold, black, silver and neochrome. Zerg Industries Lightweight Tuner Lugs. Open Ended high quality wheel lugs for performance driving. Made From Forged 1008 Steel. Each Lug Nut Weighs 25g. Available in your choice of blue, red, black, chrome and neochrome.